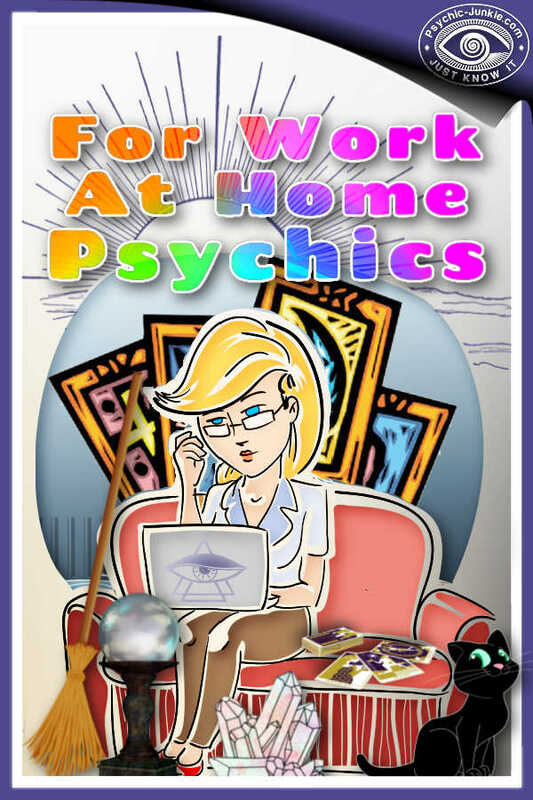 Here's the great way of advertising for psychics that can really work wonders for you. 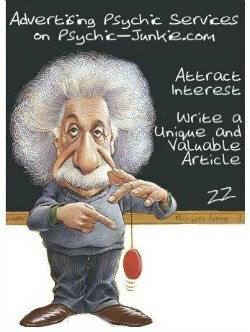 Promoting yourself effectively on Psychic-Junkie.com can be achieved with a free or paid advertorial page. When I publish your advertorial page, it is listed in the psychic search engine, pinged out by RSS and announced across my social media network. I get a lot of traffic on this website. According to Alexa, I’m in the top 'half percent' of all websites on the internet (and I rank very high as a famous psychic website as well). 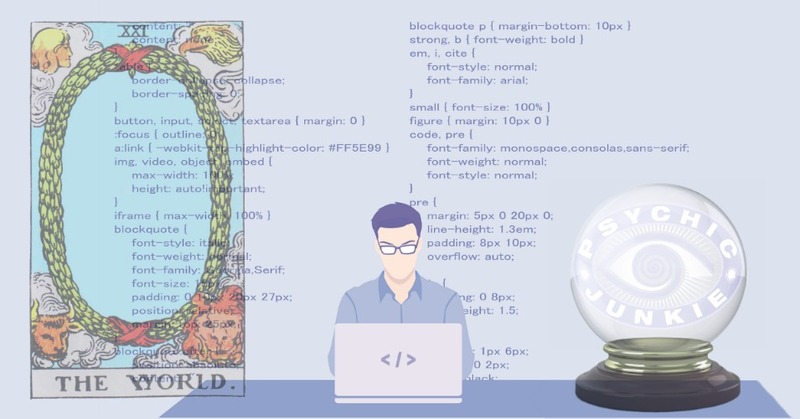 If you are providing online psychic advice via main psychic networks I may be able to place a free link direct to your profile giving you exposure to a highly targeted audience. So what is an advertorial promotion on Psychic-Junkie.com ? You will need to provide an exclusive article (must not be published elsewhere on the web) about the benefits of using your service or product. 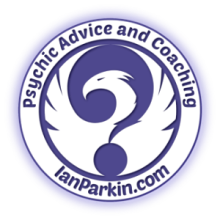 This is not a blatant advert; your Psychic Guest Post needs to provide something interesting to attract the reader to the page. Here’s what you want to achieve. Whatever you do, don’t just copy and paste what you have written already on your own website or your network's reader profile page. Duplicate content is penalized by the search engines, it will do you no good, and I will not publish it! Be prepared to give freely of yourself. If you try to manipulate your content by holding back on the gems and insights you have, it will severely weaken your article. By providing real value in your psychic guest post you will pull the interest to you. Please consider these guidelines when advertising for psychics on this site. These advertising guidelines for psychic services apply to all Psychics, Astrologers, Clairvoyants, Tarot Readers, Crystal Ball Readers, Palm Readers, Psychic Healers, and Charmed Spell Casters, who may want to promote their services here. You must not exploit vulnerable members of society or mislead them. You should offer your services as a way of helping the client help him/her self to personal improvement. When is advertising for psychics needed? Your market changes constantly. Life contains drama for most people at one time or another. Relationships begin or end, careers progress or decline, fortunes boom or bust – in short, life evolves and you need to expose your insightful abilities to connect at these points of life change. Studies show advertising for psychics in all economies produces customer loyalty and long-term competitive advantages. So consider marketing continuously to keep pace with your competition. Psychic services are required in the heat of the moment and if your details are not seen at that time another advisor’s will be. The Internet is now the mainstream mass-market medium for advertisers and paranormal business is no exception. You really should be going online to reach your customers. TOP10 = A Banner or Text Ad running on each of my Top 10 highest traffic pages is US$200 per month* (Discounted to US$2,000 paid for 12 months*). I can create the banner or text ad if you wish. ADVERTORIAL = A full page article/guestpost/advertorial with one followed link is US$15 per month* (US$150 annually*) for as long as you run the ad. After that the copyright and full article becomes property of Psychic-Junkie.com to be retained and edited or removed at my sole discretion. Each month, when your subscription renews, I further push your advertorial via my blog's RSS, email list, and social networks. * When advertising rates increase, YOUR rate will remain the same for the life of your subscription. Your own affiliate program will be considered based on relative niche and the platform, plus registration and conversion terms of the campaign you offer. Google Ads can be targeted for Top 10 highest traffic pages or full run of site. Have you heard the cliché ‘do what you love and the money will follow’, and then wondered HOW? Do you share my passion for the paranormal? As a genuinely successful Webmaster in the psychic world, I’m happy to share with you what I've learned. It’s easy for me to show you how to turn your knowledge into revenue just as I have done. Anyone with motivation can do it. With a natural and powerful process and the tools that will work for webmasters with all kinds of interests, the following pages show you how to build a web business effectively and economically. It will not matter if you intend to be a webmaster of a psychic web site or if you intend converting another kind of passion into a business. If you are keen to build your own web presence further, I recommend Solo Build It (SBI). They've helped me and tens of thousands of people reach real success on the web. Here's the simple know-how for building your own website of paranormal proportions. Check out the SiteSell cutting edge blog. Take a look through the SiteSell SBI video tour. Check out these results in you need more proof. And most importantly :-) here is the order page for when you are ready. I have added my own SBI Review here.